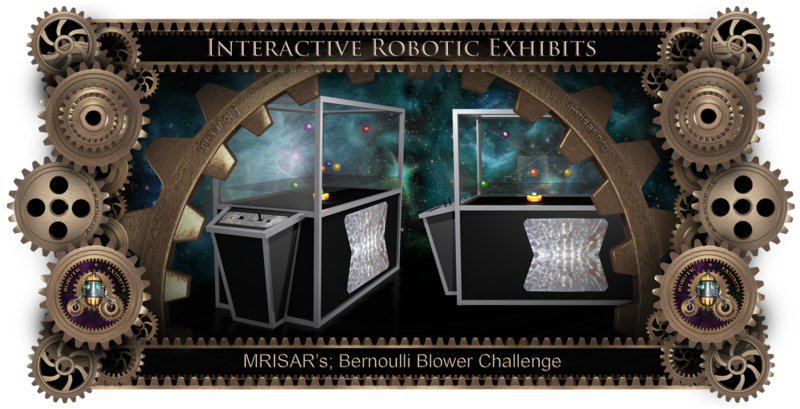 Robotic Bernoulli Blower Exhibit combines educational elements that relate to robotics, electrical science, electromechanical science, electronics, aero-dynamics, gravity and the principles of lift. A human user operates the blower speed control to change the velocity of the air pressure; and the joystick to move the spheres one by one to elevated target locations. 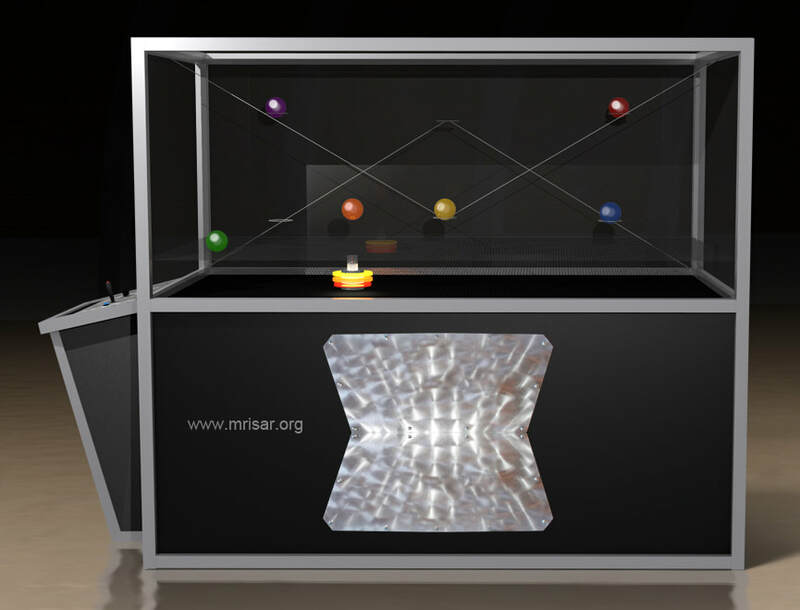 1- To capture the spheres the velocity is set to low speed and the rail robotics system is aligned to the sphere location. 2- Velocity is then increased when the stream of air from the blower pushes the ball upwards while the force of gravity exerts force to drag it down. 3- The visitor adjusts the velocity to change the elevation to the correct level for the specific targets. Whenever the ball moves out of the stream (as long as it does not go too far), the moving air on one side pulls it back in, due to low pressure relative to the higher pressure of the non-moving surrounding air; in effect “centering the sphere”. The control panel keeps track of the score via a digital display. This exhibit brings the excitement of a game to hands on learning. 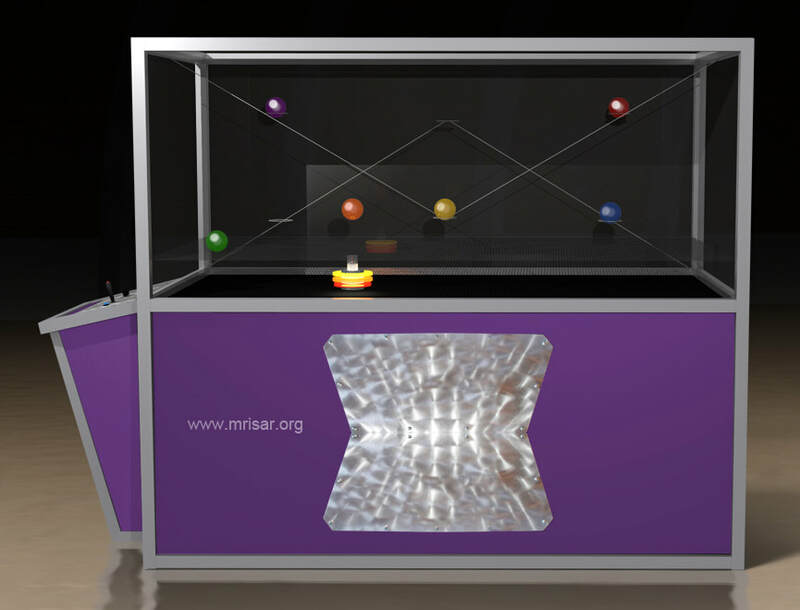 The audio feedback integration with the activity helps to instill the educational elements in a very memorable way. As with all of our robotics exhibits this exhibit also conveys a wide variety of elements that are important to STEM education. 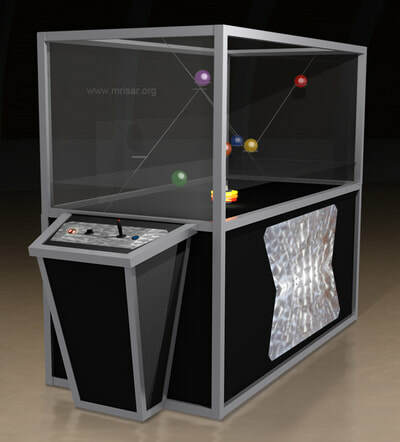 The upper portion of the case is framed in clear, unbreakable poly-carbonate for viewing on all sides, making it ideal for mid floor locations. 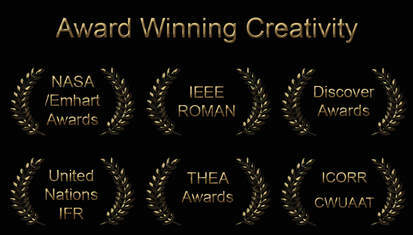 ​Approximate size of exhibit 72” High x 38” Wide x 7’ Long. Fabrication time 12 to 14 weeks. 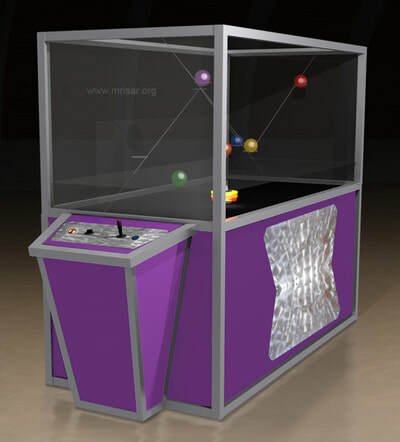 A selection of standard laminate is available for your choice of the exhibit case color.